Varicose veins are caused by Chronic Venous Insufficiency (CVI), following excessive clotting and inflammation of the leg veins. These varicose veins then become painful bulging veins. 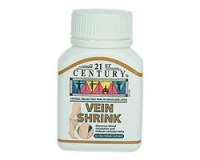 Vein Shrink contains Horse Chestnut, a herb which improves blood circulation in the legs and reduces varicose veins. Horsechestnut may benefit the blood vessels of the circulatory system, by strengthening them and, thus, combating such conditions as inflammation of the veins, phlebitis and other conditions involving venous health. Whether they are as a result of age, bad posture, heredity or pregnancy, varicose veins are often treated in Europe with Horsechestnut. Take 2 vegetarian capsules daily, one in the morning and one in the evening just before a meal, or more if prescribed by a physician. 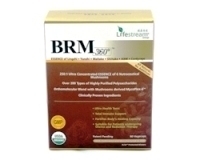 Take for at least 3 months to help improve your vein health. vessels. Not to be used during pregnancy unless under the supervision of a qualified practitioner. Should not be taken with blood-thinning medication. Do not use in individuals with active bleeding (peptic ulcer, intracranial), those on anti-coagulants (warfarin, aspirin, aspirin-containing products, NSAIDS or anti-platelet agents. Discontinue use for 14days prior to dental or surgical procedures. Contains no added sugar, yeast, starch, salt, artificial flavours/colours, preservatives or animal by-products..